Deborah identifies your organizing dilemmas at home, lays out how to reach the results you want and the obstacles to getting there. You will learn the best strategies for organizing in your particular style, how to begin and how to ensure that you make it all the way to the finish line. At the end of the session you have a plan in hand. Start on your own or work with us. The Organizing Plan session is done in person or on the phone. Declutter your home with a compassionate and practical professional guiding you every step of the way. 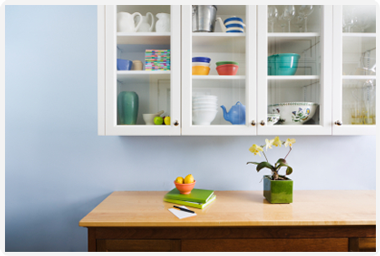 Tackle the clutter, the paper, the kitchen or the kids’ rooms. Working side by side with you, Deborah ensures that you reach your goal and designs systems customized to your habits and needs. Lasting systems, easily maintained. Deborah will coach you in completely organizing your room. During 4 phone consults you will learn tried and true methods for getting through the piles, solve obstacles to reaching the finish line and design systems suited to you! This is an economical way to use the insightful experience and problem solving skills of a 20-year-vetern organizer to create the ease and order you want in your home! By understanding the unique needs and lifestyle of your family, Deborah designs routines for everything from meal prep to household management to make your home run smoothly. Through 4 sessions Deborah creates your unique plan and coaches you on developing the habits that will make it stick. Whether your challenge is school mornings or running several homes, your customized solutions will bring low-maintenance ease to your home life.